General elections will be held Nov. 7 across the state for municipal and special service district offices, including numerous city mayors, county and city council members, water, sewer, and parks & rec officials. Provo City Mayor John Curtis won the Republican primary to fill the United States House seat vacated by Jason Chaffetz, a Republican who resigned from Congress on June 30. Hale is a former Midvale city councilman and has served on city boards and committees for over 30 years. He has worked for the Church of Jesus Christ of Latter-day Saints for much of his career. 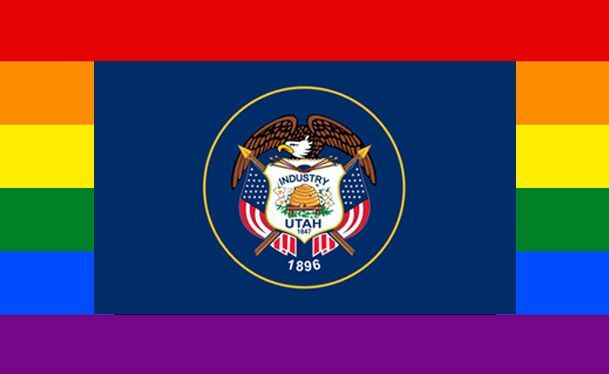 Hawes-Tingey is a software engineer and US Navy Veteran who moved to Utah in 2010, hoping to work in a discrimination-free zone for a company that valued diversity in order to send money back to her daughters living in Texas, during a time when the economy went flat in the Lone Star State. She has been an LGBT advocate since then, as well as having worked in charge of welcoming for two Unitarian Universalist churches. Her objective is to make Utah a welcoming place, with fairness and opportunity for all, celebration of diversity, access to clean air and water, and excellent education. If elected, she would be the first openly-trans person to hold elected office in the state. Millerberg is a board member of the Canyons School District, elected in November, 2016. He is a retired certified public accountant. No web site or other information can be found on his beliefs. Rogers is the current District 1 city councilman, serving his first term. He is a registered Republican. He voted on favor of designating a section of 900 South to be called Harvey Milk Boulevard, and he was the only councilperson to vote in favor of Jim Dabakis to be the Salt Lake City representative on the UTA Board. Atkin’s Facebook wall is riddled with anti-immigrant, pro-Trump, anti-Hillary memes. His web site states that he would like to empower Salt Lake City police with the ability to question minorities to see if they are in the country legally. He wants to remove funding for homeless shelters. An attorney whose firm focuses on LGBTQ and family law, Wharton has experience in public service, serving two terms on the Salt Lake City Human Rights Commission and the Utah Pride Center’s board of directors. Among the lower Avenues resident’s key issues: affordable housing, preserving the character of historic neighborhoods and expanding the city’s environmental initiatives. Cushman served as an intern in the San Francisco Mayor’s Office of Criminal Justice and as an advocate on behalf of disadvantaged children. A resident of the Avenues, Cushman said improvements to the city’s infrastructure would encourage more residents to walk or ride their bikes, and thereby improve its poor air quality. Carroll is the president of Community Housing Services, which has 200 low-income units in Salt Lake City. He was also chair of the Greater Avenues Community Council for 2 terms, the annual Memory Grove Clean Up for 20 years and the Avenues Street Fair. Utah State University research scientist Paul Rogers has worked with both USU and community organizations having served several years on the Bicycle and Pedestrian Advisory Committee, one of those years as its chairman. If elected, Rogers said at this year’s Logan Pride festival that he will make Logan a welcoming community and will work for a better LGBT future.